I grew up in the kitchens of New Orleans and I remember all those years I spent learning the methods, techniques, and tricks that are only mastered by repetition and focus. There was nothing else I wanted to do, besides being a rock star, but nobody would pay me to sing. At least in a kitchen I could carry a tuna and make those big beautiful gulf shrimp dance. It fired me up as I felt myself getting better and faster with every shift! Cut to 2015, with more than a couple decades of cooking to my cred… Madison, my daughter, video calling me from college, asking for help with what to cook. She put me on a video call and as we looked together at her little apartment fridge, it hit like a cold oyster in hot grease. If a chef could see what the home cook sees and could guide them, step-by-step if necessary, then chefs could truly help someone cook almost anything from anywhere in the world! I could see the app in my head, almost completely it seemed. Like when someone writes a great song in 10 minutes, it just appears and you hook on and ride the creative wave. 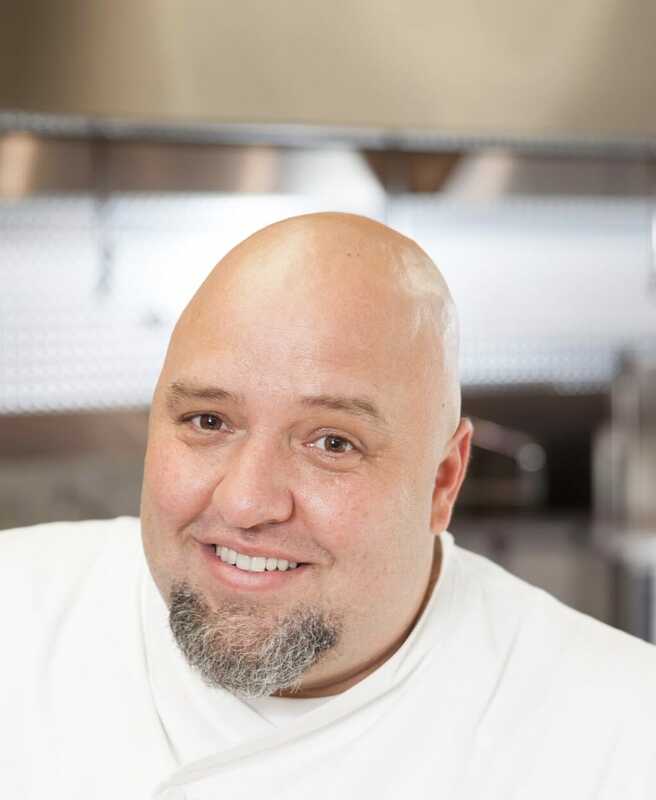 I know there are more chefs than ever before thanks to the explosion caused by the Food Network, with stars like my ole’ Chef Emeril Lagasse and social media highlighting the never-ending stream of restaurants. I know that home cooks want to cook great food themselves, but have been so removed from home cooking for decades now. And I know there’s a need to eat better and healthier, to move away from the overly processed veneer of fast food, and what it’s done to our bodies and our medical system. What I envisioned was an app that would allow people to have a connection to recipes that made sense to them, curated and paired with their skill level and the cooking tools and appliances they have available, an app that would connect people to chefs who cooked the kind of food that excited them, giving them a chance to experience what it feels like to taste success in the kitchen. It’s pretty hard to spend a lot of time and money shopping and cooking only to mess up the whole meal, spend 2 hours cleaning up that mess, not knowing what went wrong, only remembering that it was not fun. It’s hard to even think about doing it all over again tomorrow night! Thing is, people do want to cook, they just don’t want to fail at it! We all know it takes years to really master the craft, and who can spend that much time learning how to cook, except chefs? The app I wanted to create, Chefter, had to be something that didn’t just teach classes. To me, we learn how to cook by doing it with other people. You don’t just read a book or watch a video to learn how to cook, you cook and then understand the process. And technology today can move us way past cookbook learning. I knew if an actual chef or cooking instructor could be there, looking over a home cook’s shoulder and watching what they’re doing, then average people could learn better. 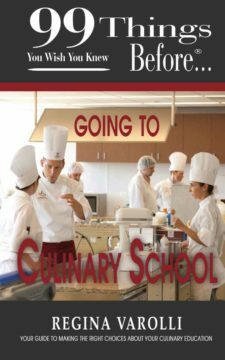 They could learn things like how to think about composing a meal that makes sense and tastes delicious, how to prep quickly, how to execute perfect timing, how to clean up faster, and even how to use the rest of that onion. I thought to myself, what an incredible way for chefs to share their knowledge and love of food, and to monetize all their time and efforts. Moreover, I was envisioning a way for chefs to supplement their often far-too-small salary! This isn’t the kind of “app” I excel at, if you know what I’m saying. So, like any chef embarking on a startup involving tech, I enlisted the help of a business expert – Bryan Spencer – and a developer – Vincent Narbot – to make this app a reality. 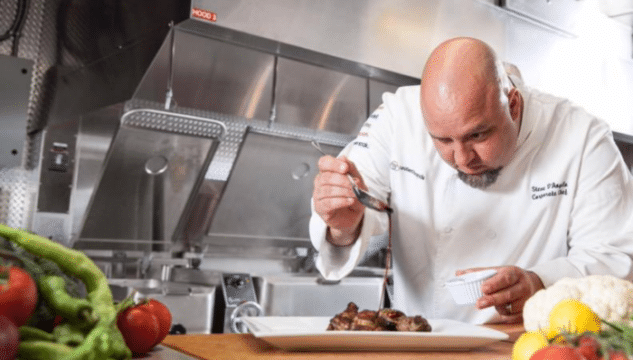 Now in beta in the Atlanta market, Chefter is an app that connects chefs and home cooks. Like I did with my daughter at college, it lets the chef see what’s the deal in the home cook’s kitchen, and go from there. 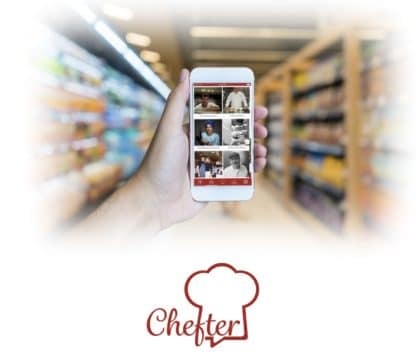 Chefter is a multi-media platform that personalizes food for everyone by curating and connecting the right recipes and chefs for what the home cook wants to – and realistically can – create, and chefs control their schedule from wherever they are, like doctors-on-demand. A unique benefit and core value of Chefter as a company, in addition to providing this groundbreaking end-user learning experience, is to provide an avenue of continued support for chefs to foster their passion, mentor others, and make extra money doing something they already love. Ultimately, there is no one best path on the journey of cooking great food. At Chefter, we hope to provide an elegant disruption of the perceived barriers to really learning and thinking about cooking at home. Anything is possible in a home kitchen with the knowledge and guidance of a professional chef on the shoulder of a home cook.